First off, welcome to 2015! I hope the New Year finds all watch enthusiasts and collectors in good stead with their timepieces and on the prowl for more new and nifty watches. 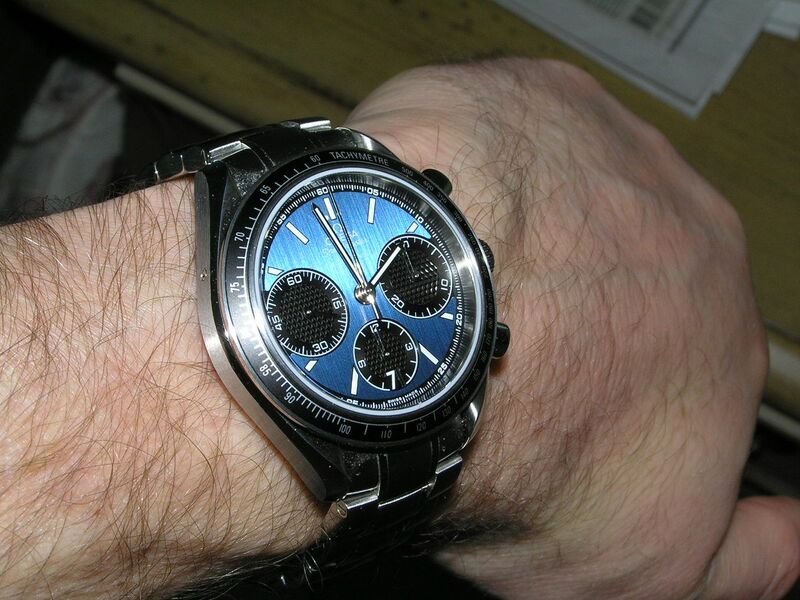 Much like my previous review on the Breitling Superocean Héritage Chrongraphe 44, I will start off this review of the Omega Speedmaster Racing automatic chronograph with a statement of fact and a slight bias: I really like Omega watches. Omega has been on a roll the past few years, pretty much completely redesigning and updating their entire lineup, placing mainly in-house movements in their watches and debuting some new and exciting pieces. The only thing I don’t like about what they’ve been doing is the sharp rise in prices of their watches. If you shop around you can still get some great deals, but overall, I hope that Omega is not pricing itself out of reach of their traditionally core and loyal audience. That being said, the watch that is the object of this review can be had brand new through various on-line sources for around $3,000 USD, which is a very, very good value for all that this watch packs in. The Speedmaster line was first introduced in 1957, years before it became known as the ‘moon watch.’ Since then, Omega has expanded and refined the series with a myriad of sizes, dial colors, features and movements, but luckily, any Speedmaster still has the basic look that dutifully pays homage to the originals produced over a half-century ago. I recently was asked about how the watch I’m reviewing here compares to a few other Speedmaster models and my comment back was that if you’re expecting to have the look and/or feel of the classic ‘moon’ Speedy, you’d be disappointed. I said this only because this watch is an automatic with a thoroughly modern engine, a dial look and layout that is decidedly more modern and an overall feel of ‘today’ rather than of yesteryear. I’ve actually owned two modern Speedmasters, one with a grey dial and non-coaxial movement and the watch being featured here. 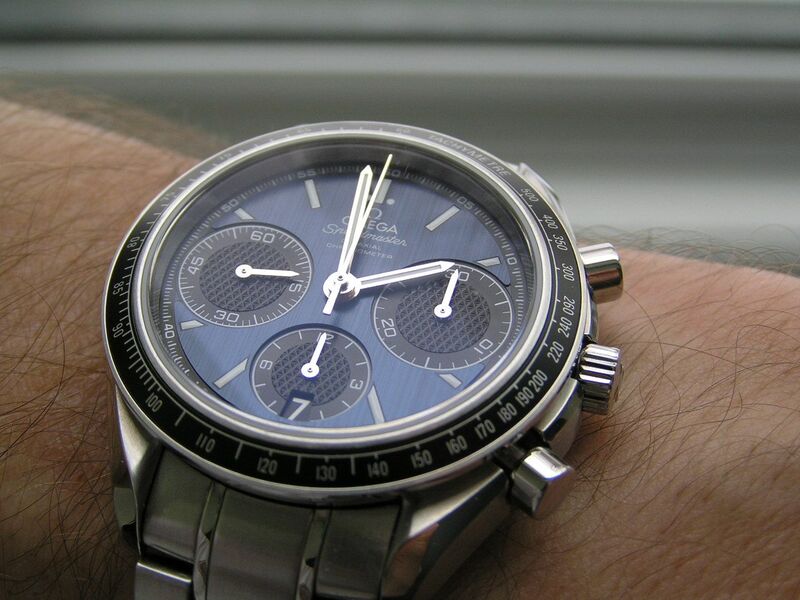 I liked the grey dial’s look, but found it hard to actually read the time, so I sold it and purchased this blue dial beauty. The color of the dial on this model is what drew me in and it is absolutely superb. 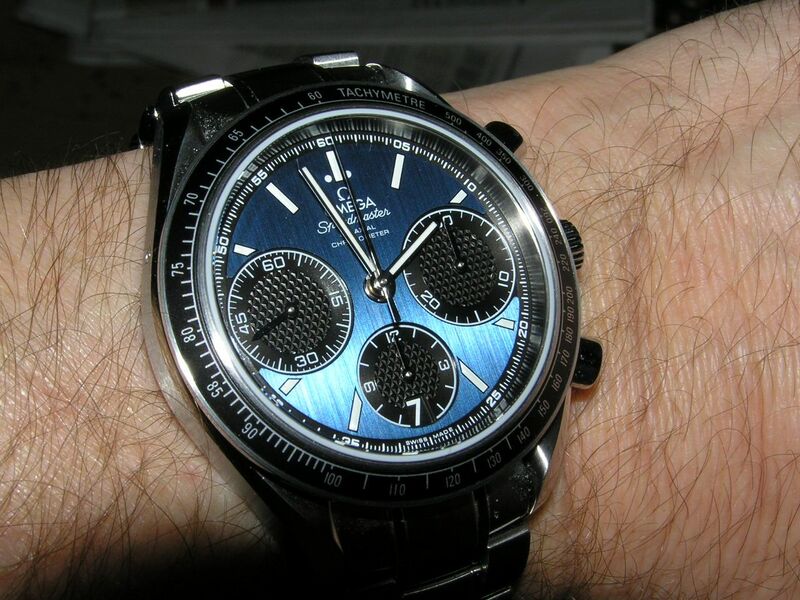 It is nicely striated and has such a perfect shade of true medium to darker blue that sets off the watch to perfection. 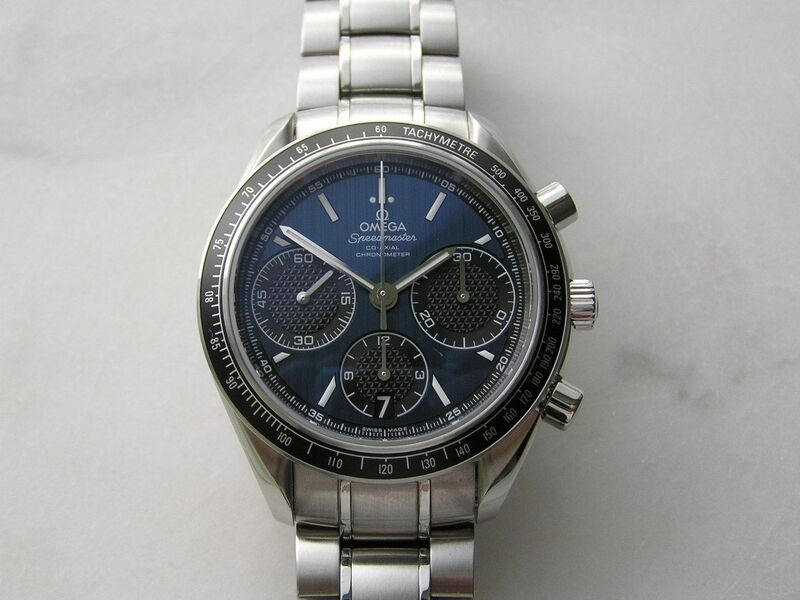 The pictures really can’t do justice, you’ll have to go to an Omega Boutique and see one for yourself. The Speedmaster Racing starts with a finely brushed and polished all stainless steel case that measures 38.8mm (Omega lists 40mm) without the signed crown; 42.2mm crown inclusive. Thickness is 15.1mm and lug spacing is a tidy 19mm. This watch is definitely not oversized, some might even consider it small by today’s larger-watch standards, but I know plenty of people that say the size is just about perfect. I’m in the middle on this one. 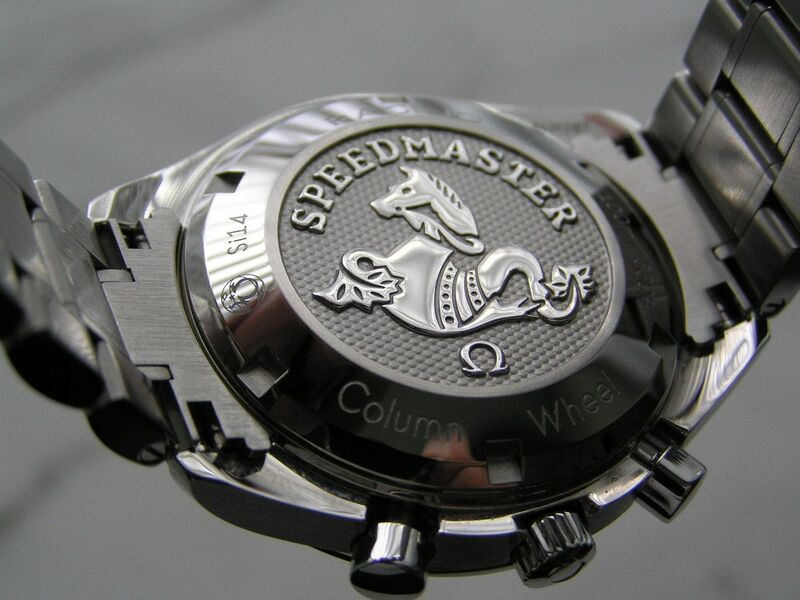 The caseback screws down and is heavily embossed with the Omega sea lion logo, which itself is highly polished. I’ve always adored how Omega creates these impressive casebacks; to me, they always resemble a proof coin with their high relief and beautifully polished surfaces. Incredibly nice! The crown is signed and non-screwdown, and is rather on the small size. It is a bit hard to manually wind this watch (which is something I like doing with all my automatics prior to wearing them) and it is even a bit hard to set the time due to the diminutive size of the crown. Slight demerits here. 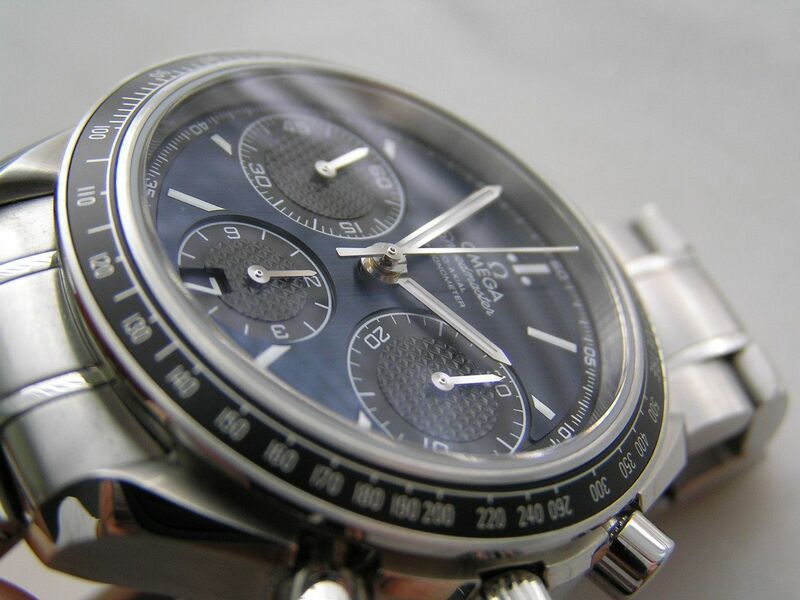 The chronograph pushers are standard pushbutton types and work properly. 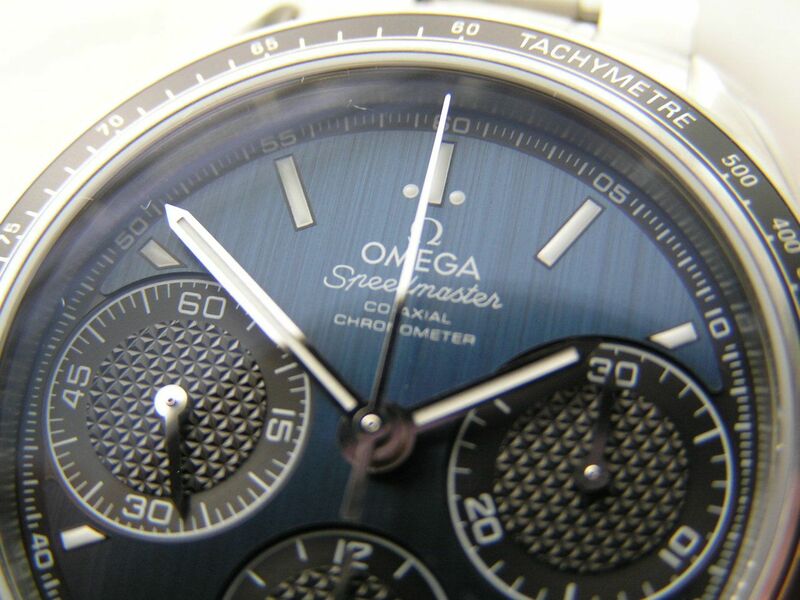 On the left side of the case at the 10 o’clock position is a small recessed pushbutton (‘corrector’ in Omega-speak) used to quickset the date. 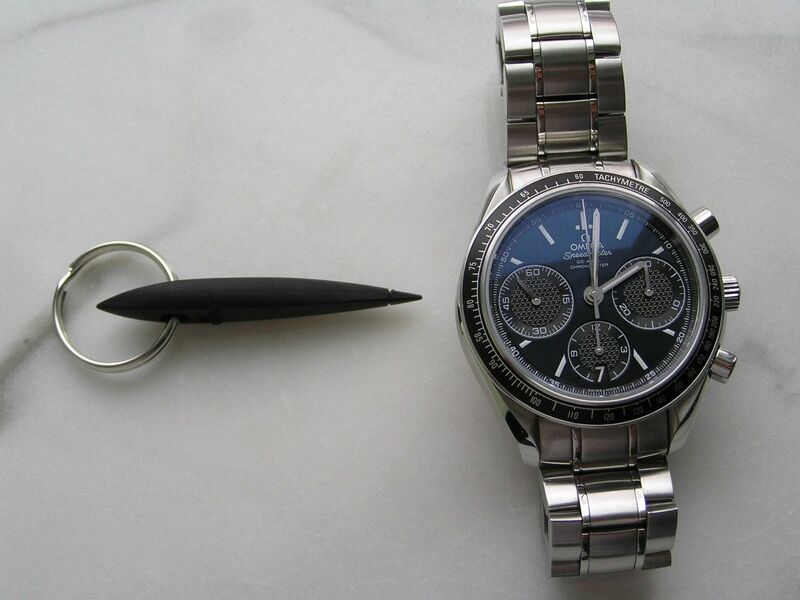 Omega even provides a small black rubber tool (see photos) to use when setting the date, which makes it a snap. 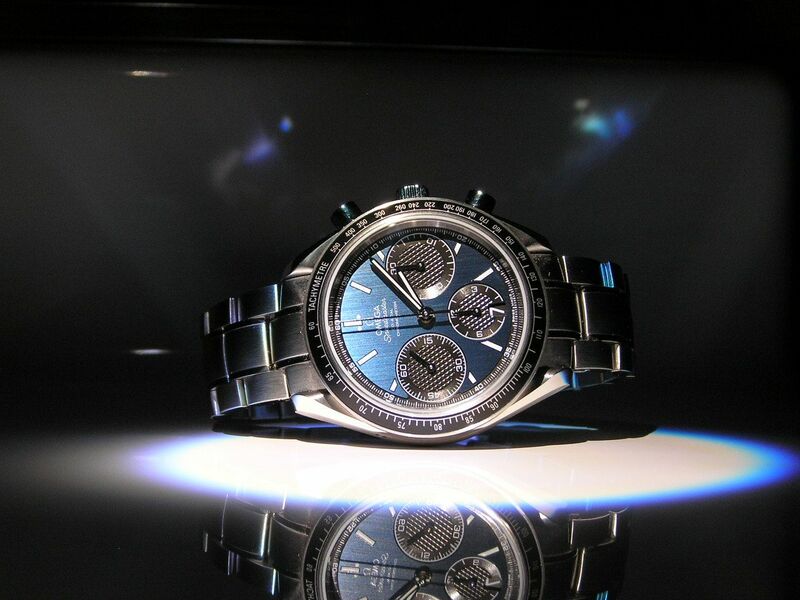 The Speedmaster Racing is factory-rated for 100 meters of water resistance. 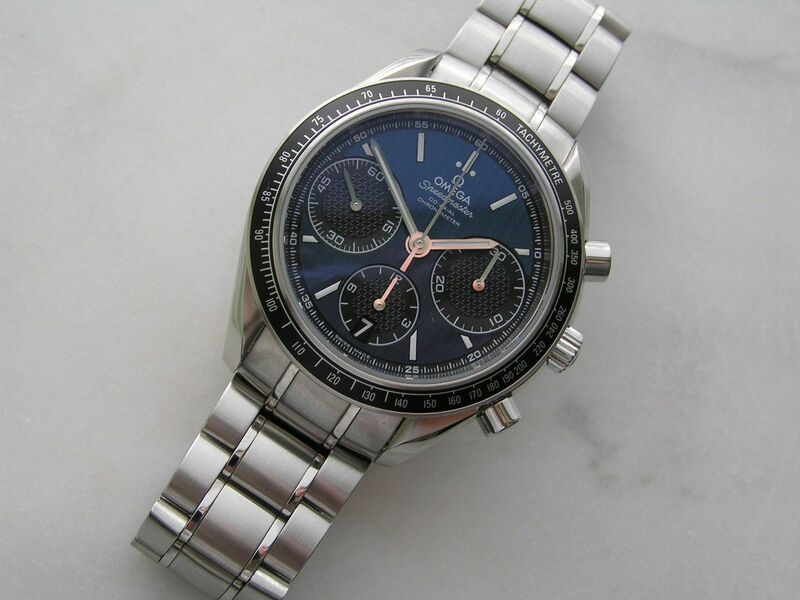 The dial, as previously stated, is a gem on this model of the Speedmaster Racing. 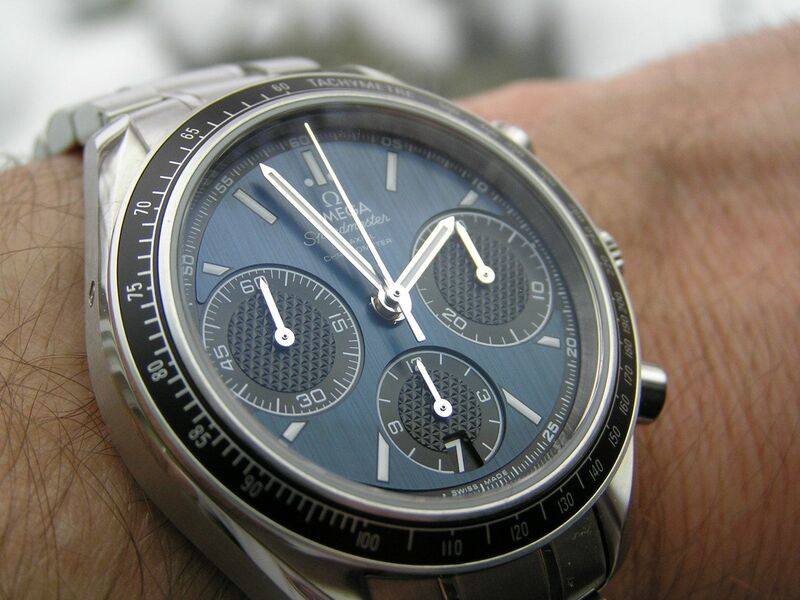 It is a fantastic shade of blue, with vertical striations that lend a bit of interest and class to the dial. 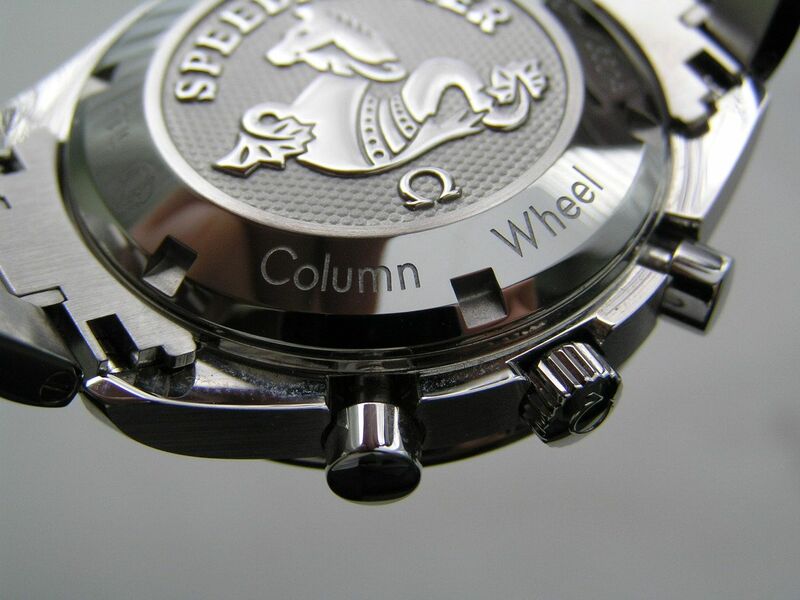 There are lumed printed markers every five minutes with a printed chapter ring in black on the outer edge of the dial. Minute marks and small arabics mark every five minutes (05, 10, etc.) except at the 3, 6 and 9 positions on the dial due to the size of the subdials impinging on the chapter ring at these spots. The hour and minute hands are simple silver sticks with infill lume, while the subdial hands are plain silver, as is the chronograph central seconds hand. There are also two small lume dots on either side of the marker at the 12 position. Lume quality is very good and is the cool blue shade of SuperLuminova that is so popular now with up-market watches. 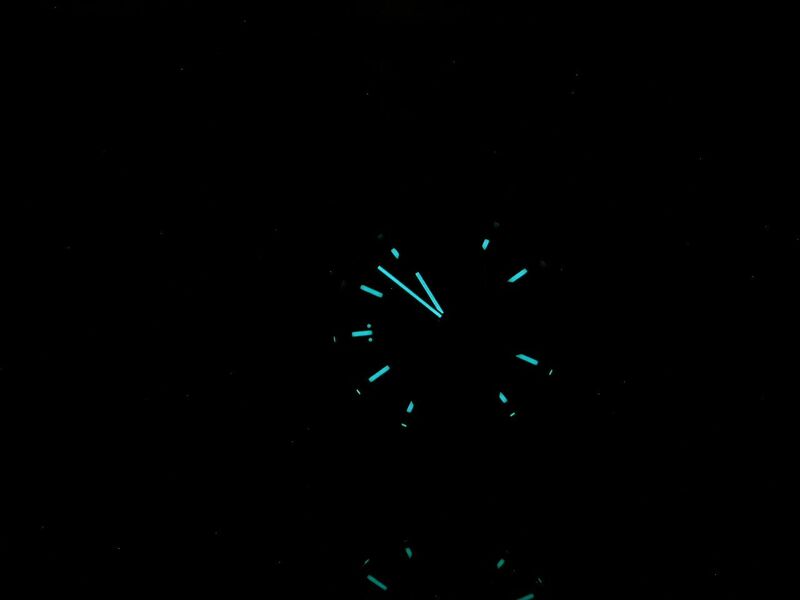 Just be advised that the lume on the dial is rather narrow, there are no big splashes of it, so this watch, while very legible in the dark, will not glow like a torch like some people are used to. The subdials are black textured ‘Clous de Paris’ pattern and the subdials at the three and nine positions are slightly oversized, which makes them easier to read. 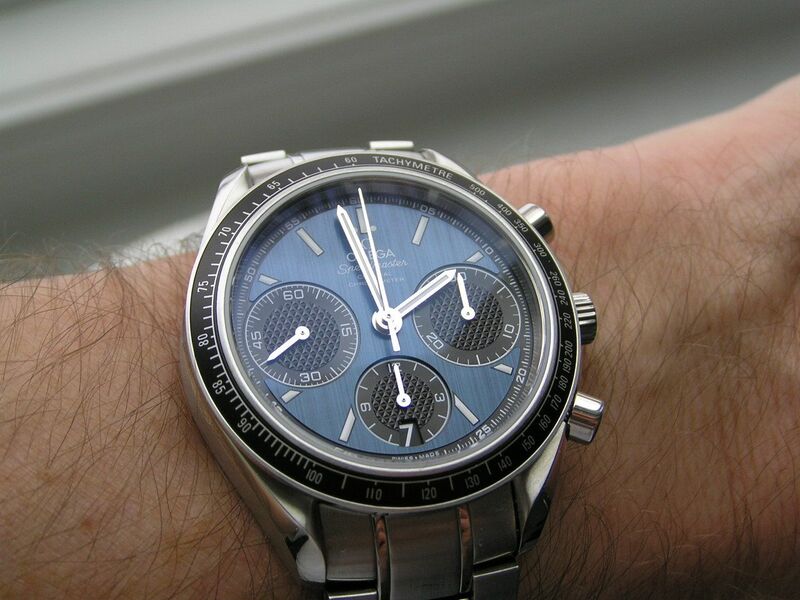 The subdial at three is the chronograph minute totalizer; the subdial at six is the chronograph hour totalizer (with the date window sectioned out of the bottom of this subdial) and the subdial at nine is the watch seconds hand. Each subdial has a simple printed minute, hour or seconds track with small arabics at either the quarter-hour or third-hour positions on the subdial. It’s a clean, legible and functional arrangement. 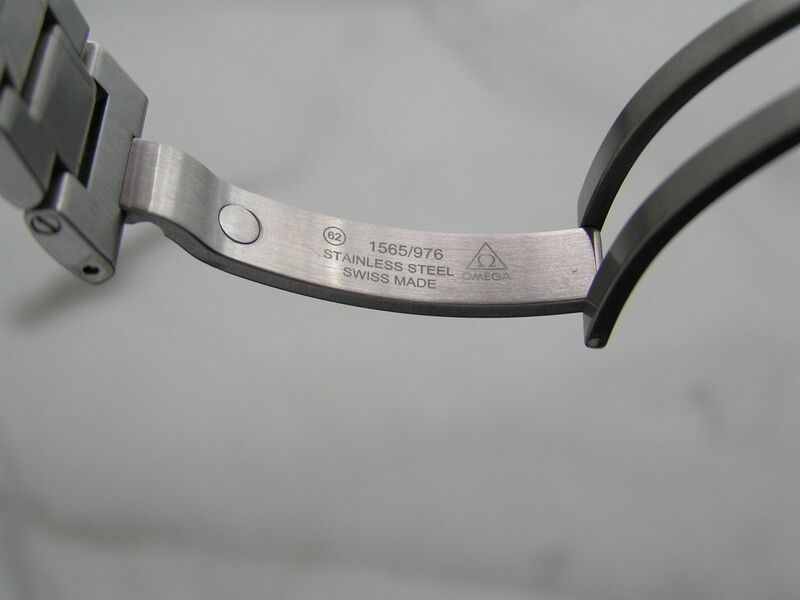 The date window is at the six position, in the bottom of the hour totalizer subdial. The date wheel is white on black and the numerals are rather large and easy to read. Alignment in the window is good. 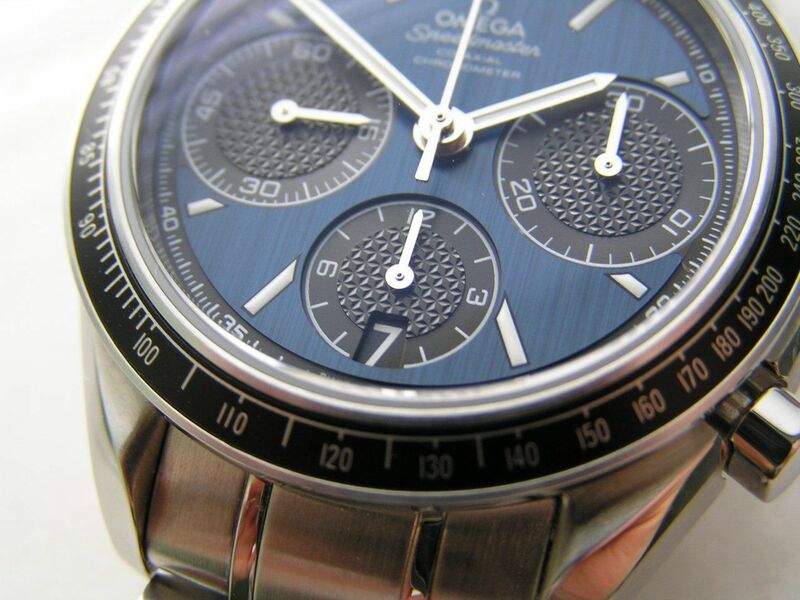 Minimal dial printing is nice, with the Omega logo and the wording ‘Omega’, ‘Speedmaster’, ‘Co-axial’ and ‘Chronometer’ all stacked underneath the 12 position in very small type. 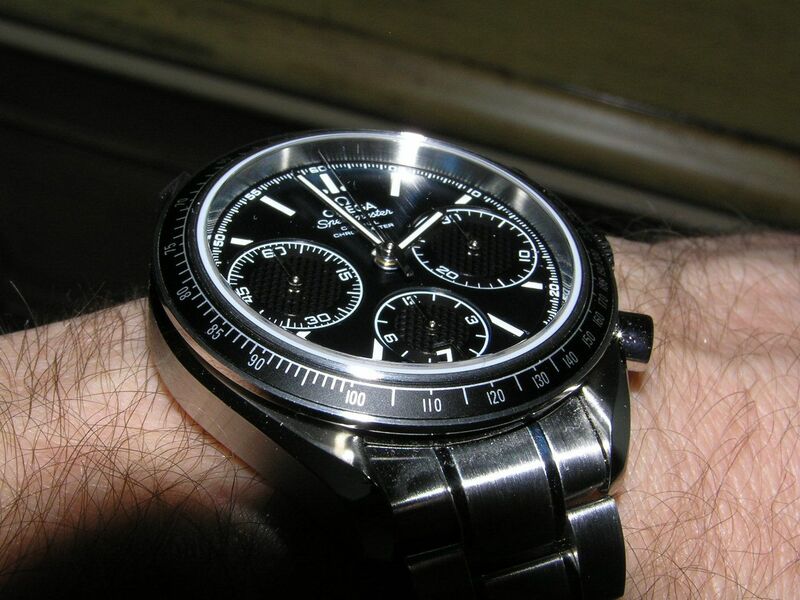 The bezel is an aluminum tachymeter (fixed) that is nicely finished and fit onto the watch case perfectly. The matte black tachy ring is ever so slightly recessed into the bezel. 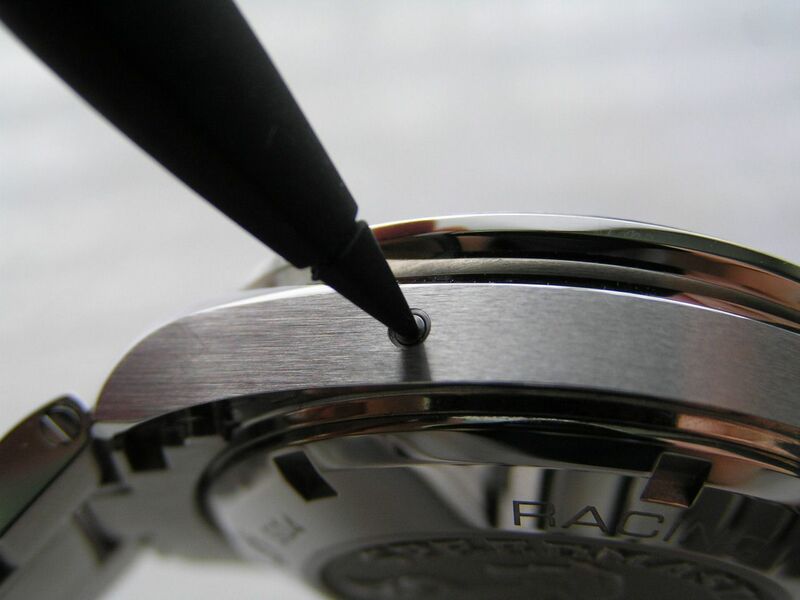 Capping the dial is a slightly domed double anti-reflective (inner and outer coating) sapphire crystal. Build quality is superb, with no imperfections, dust or smudges noted under my 8X loupe examination. 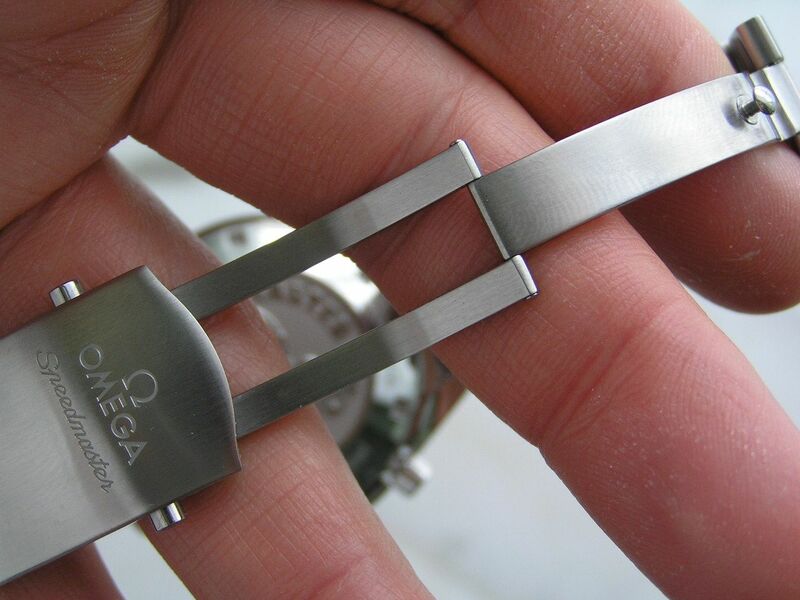 Overall fit and finish on this watch is top-notch, as is to be expected from Omega. 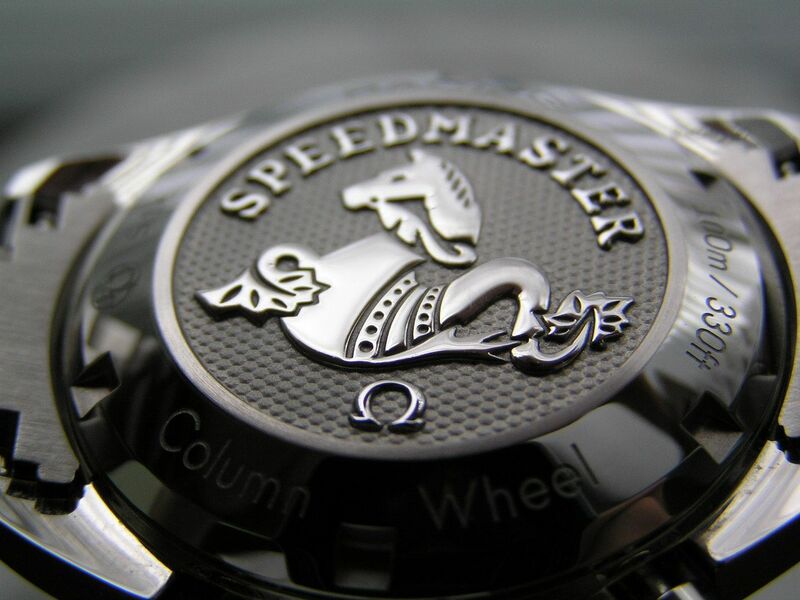 Inside the Speedmaster Racing is an automatic movement of exceptional quality. 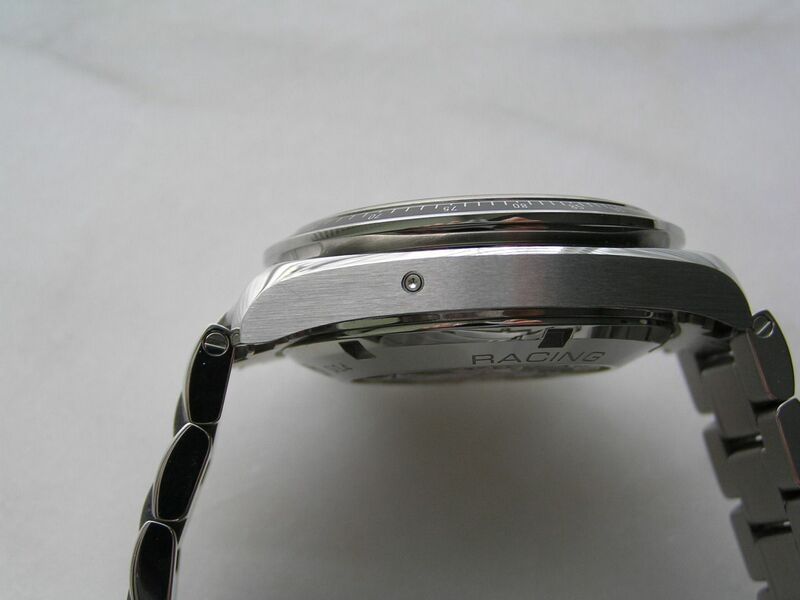 Exact specifications have been rather hard to come by, but the movement starts as a rather obscure ETA Valgranges A08.L01, which is also used in at least one Longines model. Omega extensively modifies and upgrades this base movement adding a few jewels in the process to create their state-of-the-art co-axial column wheel chronograph movement with their Si 14 silicone balance spring. The movement is COSC certified and is a huge part of what makes this watch an outstanding value. 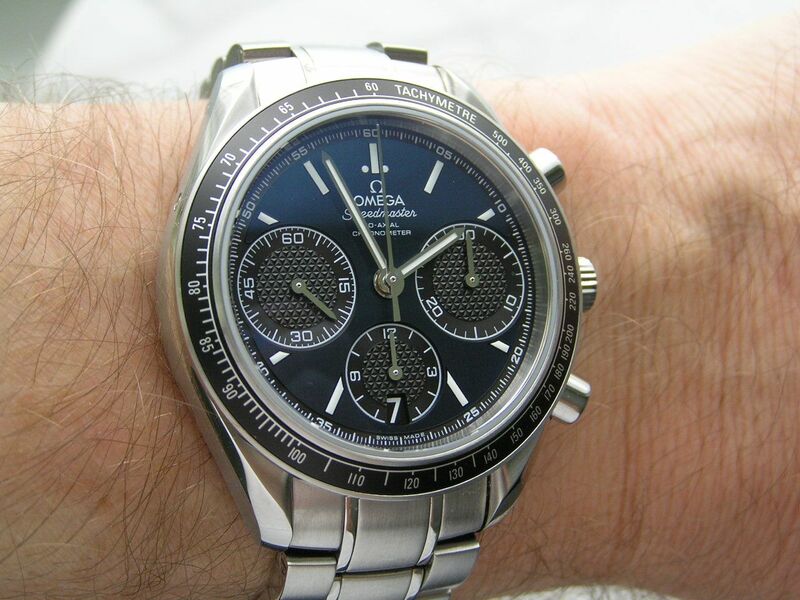 Omega rates power reserve at 52 hours; during my testing, I achieved a fine 59 hour duration. Timekeeping has been just inside COSC standards at +6 seconds over 24 hours. 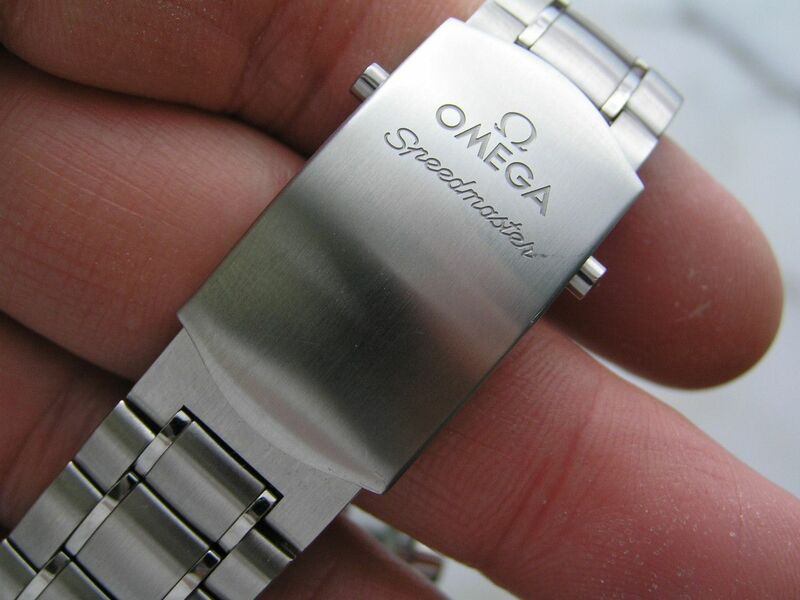 Omega touts the reliability of this movement and gives buyers a four-year warranty to prove its durability. 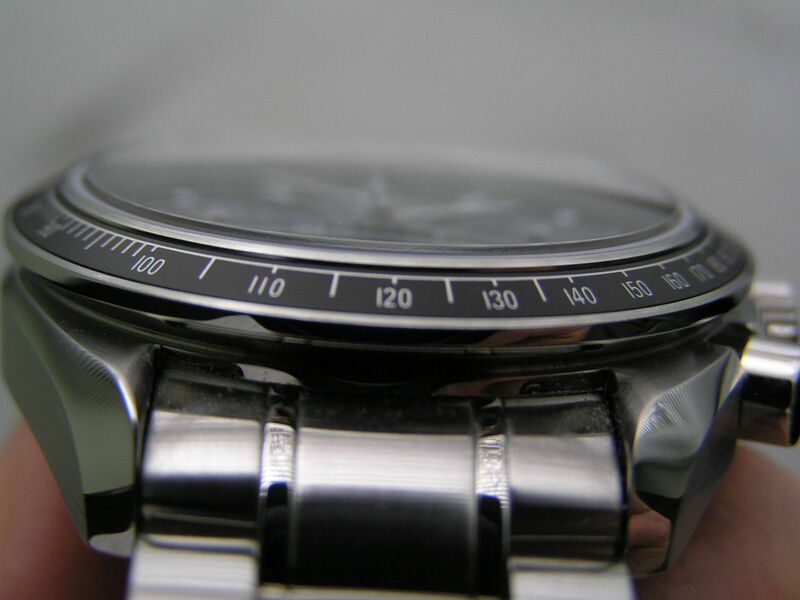 All watch functions, from winding and setting to starting, stopping and resetting the chronograph, work as they should. 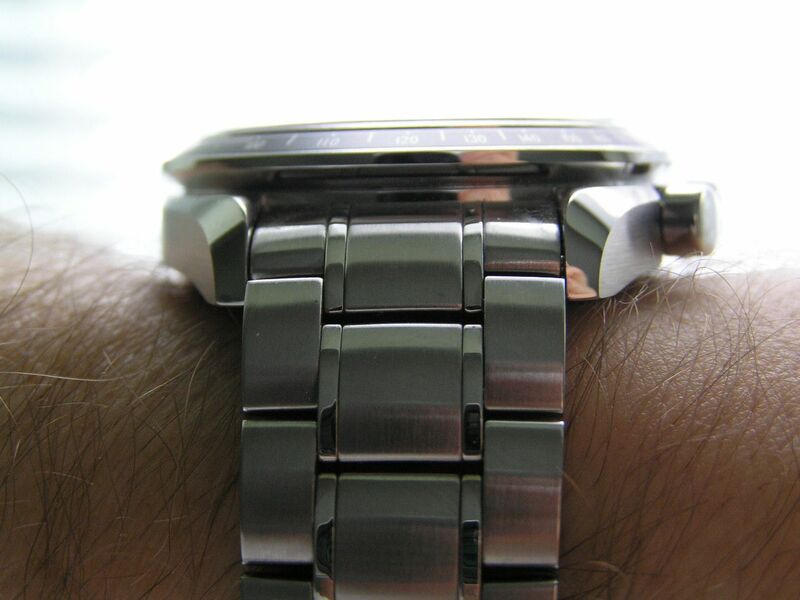 The bracelet is a nice affair, with solid stainless steel links and end links. 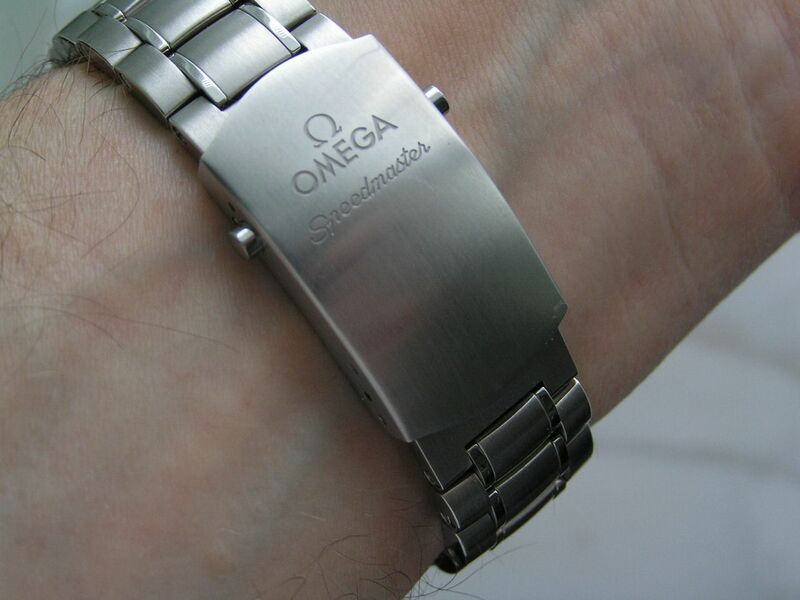 The bracelet features Omega’s updated link removal design, consisting of small screws that are taken out on each side of the link to release the link pin. Totally easy and intuitive. The bracelet has links that are a multi-piece design, being both polished and brushed. 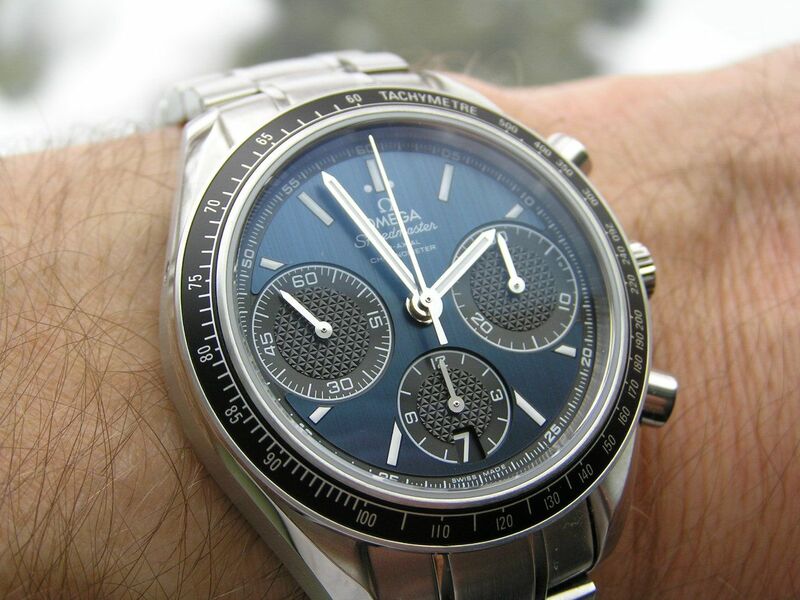 The clasp is a pushbutton style, signed with both the Omega and Speedmaster names. The deployant is of course machined and signed. 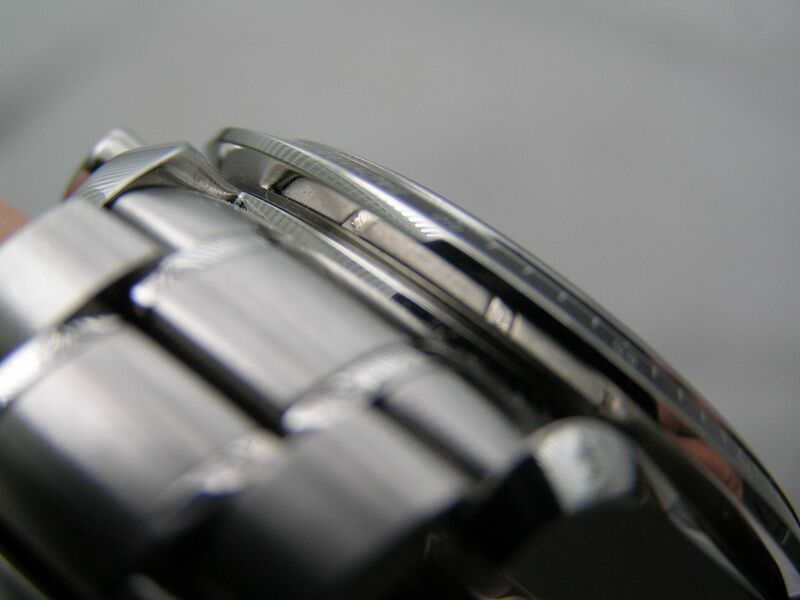 There are only two micro-adjustment holes on the clasp, but Omega includes two half-links on the bracelet to help achieve a proper fit. 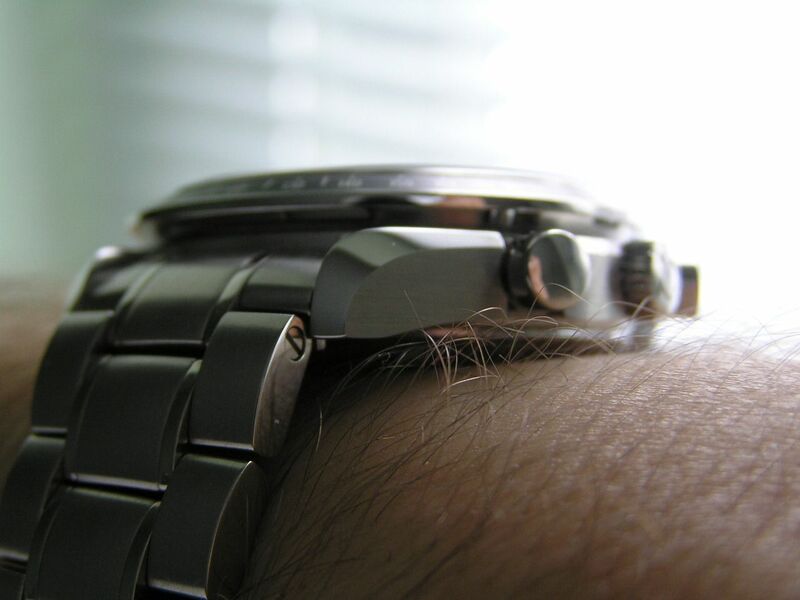 Since this watch is on the smaller side, most owners should have no problem getting the bracelet fit they desire. 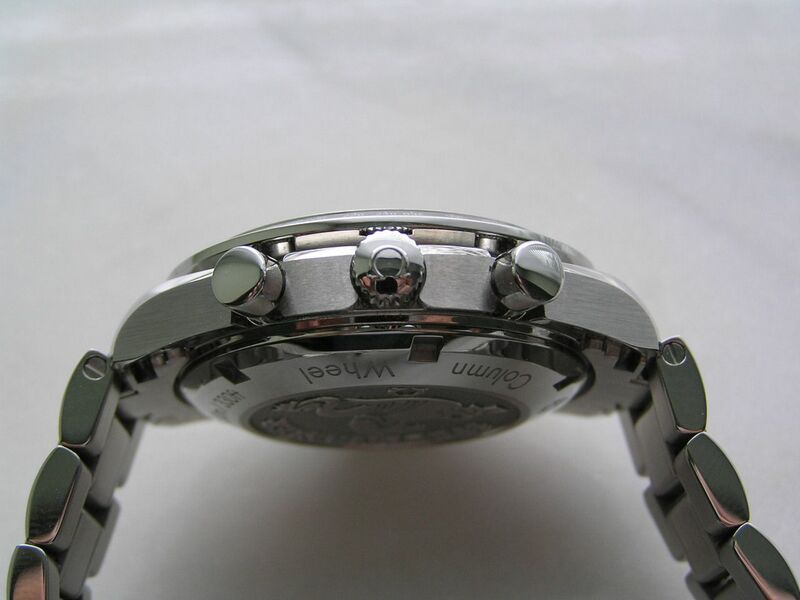 The bracelet measures 19mm at the lugs and tapers to 17mm at the clasp. Presentation is standard Omega, with a white cardboard outer box and inside, the recognizable padded red Omega presentation box with Omega medallion. The familiar Omega instruction ‘book’ that covers all iterations of Omega’s models and the vinyl card holder with warranty card and pictogram card are also included. Omega continues to find legions of fans with the Speedmaster series and for those looking for a bit sportier presentation that still has the attributes of the classic Speedmasters, the Speedmaster Racing is an excellent choice. With its top-quality and technologically advanced movement, great looks and overall Omega panache, this watch is a winner, whether at the racetrack or not. Verdict: the Speedmaster Racing is one watch you could wear all the time if you wanted to; it’s functional, has the looks and pedigree to run with the big boys at a competitive price and wears just about perfect. Give this one the checkered flag! Lug tip to lug tip is 45.5mm. 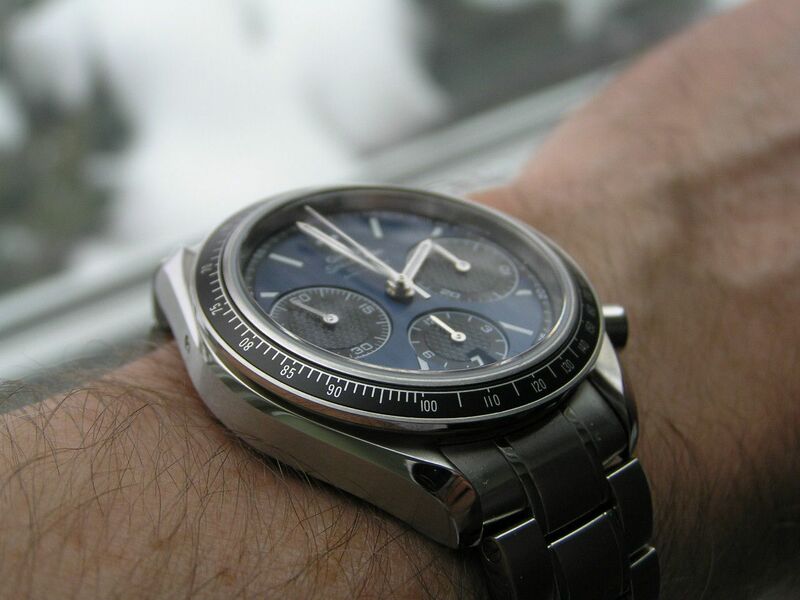 This is one of the best reviews of a watch I have read with great pictures.